An errant Facebook comment or distasteful quote from a company executive can ignite a PR crisis in a matter of minutes. Fortunately, you can use the same social media platforms that the crisis is raging on to fight back and douse the flames. Here are five steps to manage a crisis with social media, compliments of Amy Neumann, CEO of Good Plus Tech. 1. Awareness: Stay on top of conversations about your company with simple tools, such as free Google Alerts, or platforms, like HootSuite. Watch for sudden changes in tone and sentiment. 2. Listening: Monitor who is talking about you across social media platforms and website comments. Make sure to respond, both individually and more broadly, when appropriate. In addition, use updates on the same platform the conversation is taking place on and invite them to email if you feel deeper interaction is needed. 3. Transparency: First, acknowledge there is a situation. Then, keep the real-time updates flowing while being honest and straightforward with details. Use statements such as: "We are aware of the issue, live updates are here: (site URL)" and "Here’s what we’re doing to solve it." 4. Feedback: Ensure customers feel listened to by replying and directing them to resources for updates. Answer questions directly and be gracias for their feedback. Never delete negative comments related to your business. 5. Resolution: Update all communications platforms with the final outcome. Then, notify the media for additional outreach. Outline the resolution, what was learned and how similar situations will be prevented in the future. 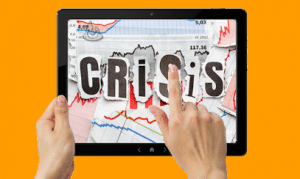 Want to learn how to approach the media during a crisis? Register for PR News' July 30 webinar, "Media Relations Survival Tactics During a Crisis."